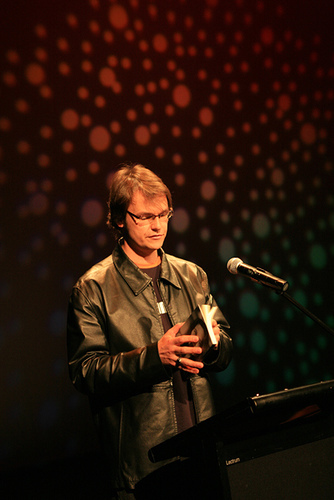 Nathan Shepherdson has won the Josephine Ulrick Poetry Prize twice (2004, 2006), the 2005 Arts Queensland Thomas Shapcott Award, 2006 Newcastle Poetry Prize and 2006 Arts Queensland Val Vallis Award. His first book, Sweeping the Light Back into the Mirror (UQP 2006), won the Mary Gilmore Award in 2008. In 2008 also he released what marian drew never told me about light (Small Change Press) and in 2009 Apples with Human Skin was published by University of Queensland Press. In 2012 Nathan collaborated with print-maker Julie Barret to produce the limited edition, concertina fold book, clouds in another’s blood (light-trap press) and in 2013 he will release his fifth collection, The Day The Artists Stood Still (volume one). 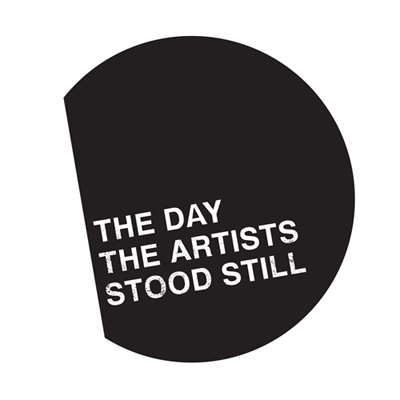 Nathan will be launching The Day The Artists Stood Still (vol. 1) @ QPF 2013 in the session, Dancing in Abstract (Saturday 24 August, 4pm. Shopfront Space). I was introduced to you, Nathan, in 2010 following the success of your third work, Apples With Human Skin, and I am amongst many who are in awe of the talent you have for giving words their own breath. The use of space and suspension around your words just adds to the physical and philosophical dimension of your poetry. Where have you drawn your creative inspiration? In the simplest sense poetry is a form of thinking. Things occur and the decision is whether to write it down. Even unwritten it’s still poetry. The choice pertains to its physical form. It’s a big question, and not easy to elaborate. It’s a bit of a mantra, but essentially it’s a reductive art, so the elaboration is part irony, part head scratch. For better or worse my brain seems to operate in a visual way. So as the images form as words the words also become another set of images. So your allusion to space and suspension is very important to me. Mostly reading is a silent act, but the physicality is internal. One breath invites the next – and reading what you’re writing or what others have written can transform you into a machine for language. I want to be used as fuel for this process. For all the minimal aspects of its language, poetry makes the highest demands on the space within the page. This space allows the thoughts to approach the words, almost as objects – a few words can jell together as a static object holding a magnetic field. You take your bearing then turn the page. So in some ways the smaller poems demand more space. One face instead of the crowd. In Apples I was fortunate that my editor Felicity Plunkett backed this idea of one poem per page. It was questioned by UQP, but I convinced them of the physical punctuation of turning the page. Obviously this is not always possible, and I was very grateful to UQP for the latitude I was given. As to the philosophical dimension, I guess there’s something going on, but it’s difficult to say what. Perhaps it’s a quest for perfect self-contradiction. The consistency rests in being at odds with yourself. Where possible remove the ego and then try and re-trap it by direct confrontation, sleep or even sabotage. With any art what is attempted won’t necessarily be what is achieved. Things can come about via different gradients of failure. I accept failure as part of the process. After all you need to be defeated to complete a work. I know when a work is finished, but sometimes it’s just as much relief as satisfaction. So when you look at the words on a page, it’s like a photograph of the wreckage. Does that mean the editor is a mortician? Octavio Paz said something like “we are an accident that thinks”. I can’t do better than that really. To be there you can’t be here. Thinking is somewhere else. Currently, on the QPF website, is a conversation with Rachael Briggs, winner of the 2011 Val Vallis Award followed by the 2012 Thomas Shapcott prize, and her feelings of winning back to back prestigious prizes. How did you feel Nathan having also won both literary prizes back to back in 2005 and 2006, but in the reverse order of Shapcott followed by the Vallis? How has your success in these poetry competitions influenced your poetry to date? I was very lucky for a few years there. The ball (or full stop) started rolling in 2004 when I was fortunate to win the Ulrick Prize. (One of the judges was Tom Shapcott in that year). My work had never appeared in journals. I’d probably sent out two things in 20 years. I’d never given a reading. My mother died in 2003, so I guess that jolted me into taking work out of folders and doing something with it. I think that was a subconscious yardstick. The manuscript awarded the Shapcott Prize was Sweeping the Light, which consisted of 72 elegiac poems about my mother. Of course without the vehicle that is the prize, those poems may still be in a folder. For a poet who had no idea how any of it worked, I ended up with a book in the pipeline, and with Bronwyn Lea as my editor at UQP. I was naïve, but that experience was invaluable. Bronwyn was very generous with time and ideas given my lack of pedigree. She is very astute, and unsurprisingly has a delicate editorial eye. The book was all the better because of her involvement. As a result of that period I got to know Tom Shapcott personally. Without doubt he is one of our finest poets. You learn a lot in a short period through the contact and presence of someone like Tom. His knowledge not just of poetry, but of music, art and life is vast. You just hope to soak a bit of it up. The history of the Shapcott and Vallis awards is probably known by many, but is worth repeating. Matt Foley was a minister in the Goss Government. He is steeped in the poetic tradition. He came up with the idea for the two awards. The consequences in what words have seen the light of day has been palpable. The fact that the Shapcott prize is a manuscript prize cannot be underestimated. It gifts the poet a full survey of a body of work with a leading publisher. Is there a better opportunity for unpublished work in Australian Poetry? In all modesty, I’m very pleased to be on the shelf with such a quality group of poets pre and post my own success. With the Vallis Prize I guess it was a kind of reverse order to what might be expected. Perhaps (as in Rachael’s case) you would think an individual piece might pick up a prize before a manuscript. But naturally I have no cause for complaint. The piece awarded the Vallis prize was very different in content and context to the Shapcott material. That work ended up in my second UQP book so there’s a circular relationship of sorts there. I never met Val Vallis, but he lived to a great age of 92. He went blind in his later years. Again I feel fortunate – because Paul Sherman made a point of reading the winning work to him each year while Val was still alive. My poems in that sequence are perhaps a bit baffling, but for their part they were given due consideration and credit as part of a ritual designed by Paul. Paul very kindly related this process to me in a letter, with a congratulatory notation from Val. I’m very pleased to have this, something that provides connection however small. Poetry is the perfect vehicle for tenuous connections, that’s where the capacity in its imagination resides. So you can see how anecdotally none of the above could exist without those awards. However the writing was about the writing. With or without the awards those poems would still exist. The awards allow the passage of the internal to the external. You never cease to be evolutionary with your poetic projects, having produced four collections with a fifth on the way, and enjoy collaborating with spoken word artists and artists of other mediums. Can you tell the readers about your concertina fold book, clouds in another’s blood, and how the complement of collaborating with other artists has worked for you? Clouds in another’s blood was written at the invitation of Angela Gardner. In the year I won the Vallis, Angela won the Shapcott; that’s how we met. So there’s another tangible between the two awards. Angela and her partner Kerry Kilner had formed light-trap press. Their idea was (and still is) to produce very high quality poetry publications in very limited numbers, built around the idea of putting the work a particular poet and artist together. She asked would I be interested? After a long deliberation of half a second I said yes. (Angela is also an artist, so has both streams flowing as a matter of course). There is a wonderful tradition between the two art forms. With any project of that sort I prefer to produce new work that at least attempts to cater to what is being proposed. However this is an inexact science, so you just hope that something lands in the right field. I see it as three-way collaboration. No such thing as a two cornered triangle. The artist Julie Barratt and typesetter Janine Nicklin did a wonderful job. It’s beautiful to hold in the hand; and its concertina format allows the 32 poems to roll around like a horizontal spinning wheel when you read it. David Byrne said something to the effect of “there’s no point in collaborating if you end with what you would’ve done anyway”. I agree with this idea. You either have to stretch or contract your usual self to be at the service of what you’re doing within a shared context. A few years ago I wrote some micro pieces for Arryn Snowball which he absorbed into a series of paintings. Arryn pushed this to the point where the words are almost illegible. But they work. Whether you can read the words or not, they’re still there. It’s an open process. Subvert or illuminate. It goes the way it goes. Whether the result ends up as a diagram or deepest abstraction, the trick is to wear a blindfold and let intent be the driver. In 2010/11 I produced a series of works for Alun Leach-Jones, six of which we chose for use as the basis for a suite of screen prints entitled The Philosophy of Objects (printed by Marnling Press in Sydney). I was amazed with what he came up with. The text and images are side by side on the same sheet of paper. Yet the images he produced were not illustrative at all. Alun went about it all in a very meticulous way, injecting his own responses into the words. A bit like slicing a psychological onion as fine as possible. The pungent translucence. We were both surprised with what the other came up with. Without Alun’s invitation neither poems nor images would exist. They become each other. Alun is a massive reader of poetry. It’s a primary tenet in his make-up as an artist. It goes beyond the thought. He believes in the inherent capacity for art and poetry to fit together. I agree with him totally. While I’m more comfortable with the art/poetry collaboration, I’ve also done some work as writer and reader that involves music. Sometimes in a more casual way with people such as Leighton Craig, Sandra Selig, Eugene Carchesio and Ian Powne. Then at other times in a more structured way with Pascalle Burton and David Stavanger in the Outlandish Watch project (from QPF in 2011). I’m not quite as confident in this area, but really enjoy the process. If the opportunity ever arose it would great to work with a composer on a song cycle. In general collaboration is rewarding because it gives you the opportunity to break down the singular self. You’re about to release a new collection, The Day The Artists Stood Still (vol. 1). What has been your inspiration for this particular work and what are your plans for more volumes? Again as good fortune would have it this book will be published courtesy of an invitation from Graham Nunn via his press Another Lost Shark. As a by-product of what I’ve been talking about above; I written a dozen or so sets based on different artists I know. (Some as friends, some as acquaintances). The poems are mostly short, what I call lingual drawings. They were produced between 2008 and 2013. In a way they’re discourse based; with many coming from an overflow of energy after writing the collaborative pieces for Alun. My conversation is with the ideas within their work, rather than direct interpretation. Given that they’re written for each artist, I hope that something of their work is discernable, but as poems they also need to be able to stand by themselves. For reasons practical and aesthetic we decided to split the pieces over two volumes. The first to be published this year, with volume 2 coming out in 2014. There’s a wide range of artists, different ages, early to late career. The personal connections, or at least respect for the work of each artist evolves into a silent curatorship of words. Which is interesting for me, because I can’t imagine these artists would ever end up in the same exhibition with the way the contemporary art world operates under certain aesthetic, economic and intellectual camps. I was not trying to address that idea in writing these poems, but it’s an intriguing aside. They’re part dialogue, part homage, and maybe part collaboration – although ironically without consent from the other party. If readers have made it this far into the interview, they’ll no doubt realize I’m an art obsessive. There is no surprise really as my father Gordon is a highly regarded painter. He has been a very powerful influence on the shape of my creative thought. It’s a pleasure to know artists of a certain generation like Gordon, Alun Leach-Jones, Madonna Staunton and of course on the word front Tom Shapcott. Art itself may come from or be about the moment, but for the artist it’s a long haul process. These artists keep milking their minds and skills in order to continue living in their work. As people and as artists they’re wonderful examples. No matter what the fashion – a blank piece of paper will always be a blank piece of paper. Whether the line is written or drawn doesn’t matter. Nathan, I’m really looking forward to your performance at this year’s Queensland Poetry Festival. Can you give the readers a teaser of what we’re likely to expect from you? QPF is always an event. I feel part of it. I’ve had some great experiences there – with reading my own work, launching my first book, and being able to listen to and discover the work of others. It does alternate between exhilaration and exhaustion, (which I know you understand better than I as a former director of QPF). It’s an important point on the calendar for our somewhat marginalized art form. My focus will be on the launch of the day the artists stood still. Generally the poems are sparse. The language is concise, with elements bordering on the aphoristic. Hopefully the words and images float off the page. In reading poetry to an audience, it’s about trying to wake the moment. It would be good if a few people are standing around the bed when that happens. Even in our own language we’re in a constant state of translation. Here’s one poem from the sequence absent landscapes written for Peter Hudson. It taps in to what the book is about. Another Lost Shark is excited to announce the launch of its latest release, the much anticipated first volume of The Day The Artists Stood Still by multi-award winning poet, Nathan Shepherdson. Here in Nathan Shepherdson’s dazzling gallery of the impossible, a single thought can rip the nails from the floorboards. The poet curates an assemblage of the exquisite and uncanny, imagining the harvested wings of angels alongside ribs sucked and discarded, and splashes from a poetics of painting. The launch will be held as part of the QLD Poetry Festival session, Dancing in Abstract, alongside Felicity Plunkett and Jon Paul Fiorentino. I am on launch countdown at the moment… as many of you will know, in just 13 days, I will be launching Cindy Keong’s stunning debut, Same Sky and then on the last weekend in August at QPF 2013: spoken in one strange word, I will be launching Nathan Shepherdson’s latest collection, The Day The Artists Stood Still. It is exciting times! I am incredibly proud of both of these books, so for now, let me leave you with an excerpt from Nathan’s poem, racking up dialogues on blue felt from The Day The Artists Stood Still.